Costumes for Kids - Suggestions, Inspiration and Instructions! Batman has always been a popular costume for young boys, and it is not difficult to make yourself with a few supplies. These days you will have to decide between a plain black modern batman outfit, or a grey, black and yellow traditional batman outfit! Every little girl wants to look pretty sometimes and this costume is easy and quick to produce, especially if you use a bought tiara. But it is more fun to make your own! This burglar costume is a fun fancy dress costume for kids at Halloween or all year round - and it is very easy to put together. Here's a fun printable for Minions fans - and a great (and quick) way to dress up for a party, or even Halloween! Just print onto cardboard, cut out and wear. You'll need to make some holes for the eyes so that you can see where you are going, though! A devil costume is really as simple as kitting your child out in red, and accessorizing with a few bought or hand made extras! This is a simple costume to put together - and perfect for little ones, who usually enjoy putting on hats! In Greek mythology Medusa was a Gorgon who had snakes for hair. Looking into her eyes would turn a person into stone. 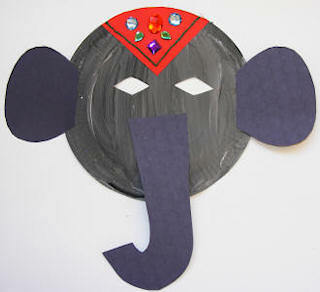 Kids will have fun making and wearing this fun, floppy Mardi Gras jester hat! A mummy costume is easy to put together and great fun for children, but it does have its downsides so think carefully before you agree to it! Make a very large robot costume, and wear it ... perfect for Halloween, fancy dress parties, or just for a rainy afternoon! Make this wonderful royal cape in a jiffy - and dress up in royal style! Perfect for a construction worker's costume at Halloween, a craft to accompany a safety unit, or just a good excuse to do some papier mache and painting, this safety hat is convincing and fun to wear. You will need a bit of patience and plenty of drying time! Your child needs to dress up for World Book Day at school tomorrow and you're stuck for inspiration? We've gathered together below some last minute suggestions for book character costumes for your kids!